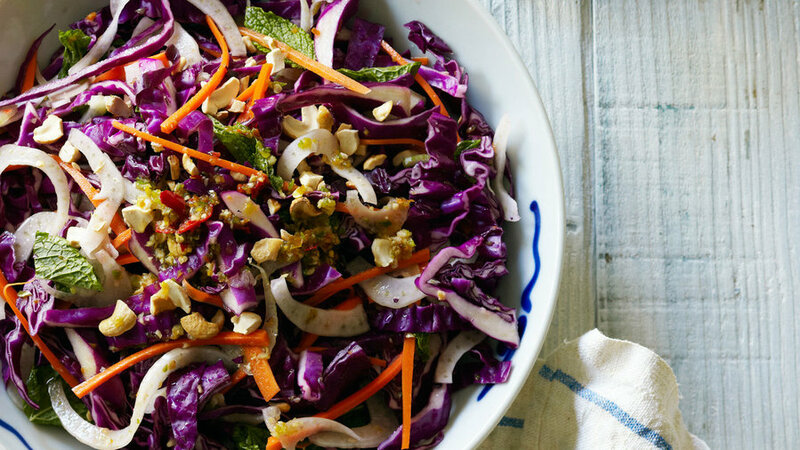 Lime zest gives this slaw its zingy flavor. Using Greek yogurt in place of mayonnaise is a great way to lower the fat without cutting the flavor. 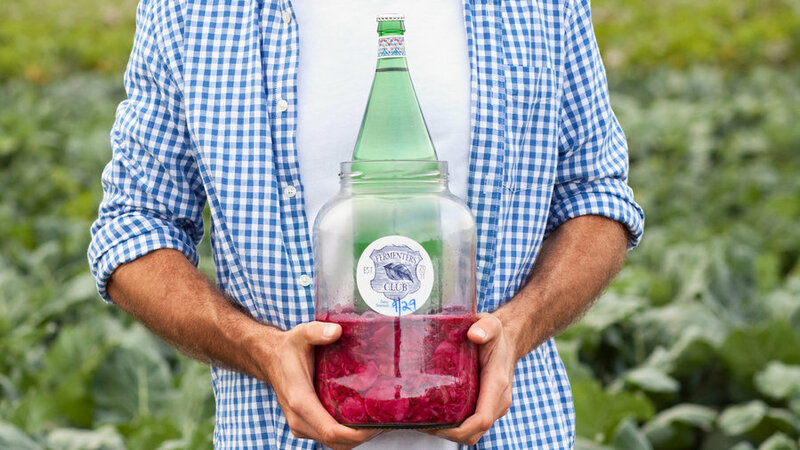 The "gateway recipe" for home fermenting is sauerkraut—once you make it, you'll be smitten. 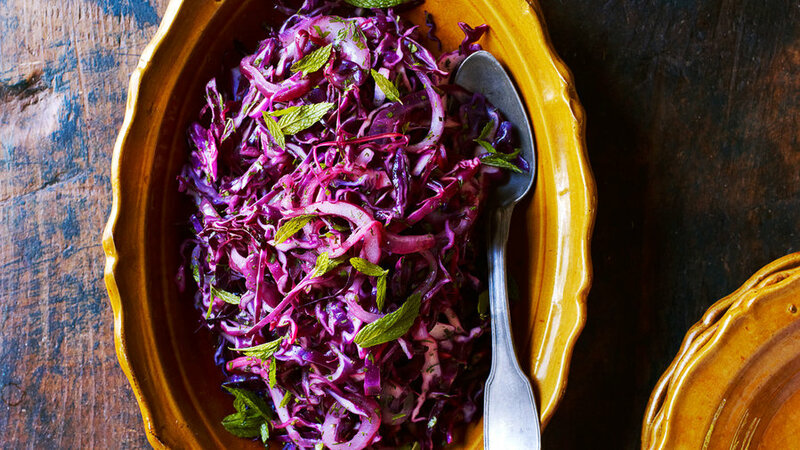 This colorful slaw is a fresher and faster version of the classic German long-cooked red cabbage. We serve it with pork, but it also makes a nice cool-weather side with simply cooked chicken or steak. 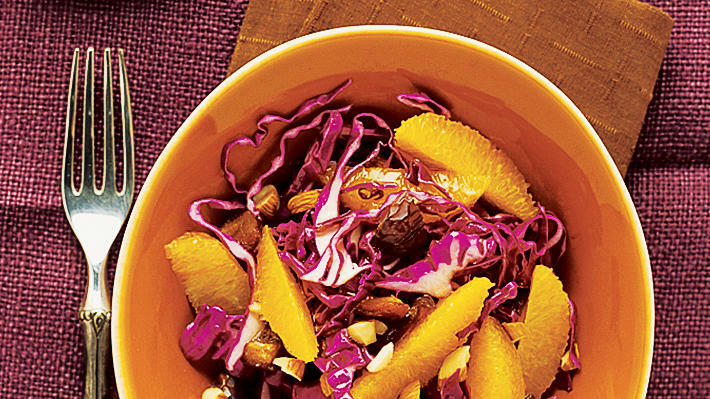 This salad is as healthy as it is tasty: Cabbage, oranges, and almonds contribute potassium and calcium; almonds add monounsaturated fat and phytosterols; and walnut oil is rich in omega-3 fatty acids. Boost flavor by sautéing the vegetables in the oil left from toasting the garlic chips. 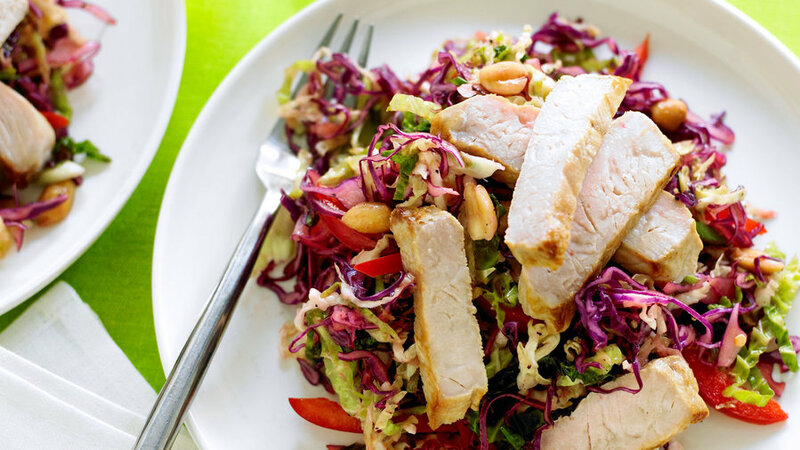 The fresh and crunchy texture of this slaw wins high marks. We served it with pork, but it would work with any Asian-themed party menu. The cabbage and the mushrooms simmer in brewed genmaicha until tender, absorbing the delicate, toasty tea. 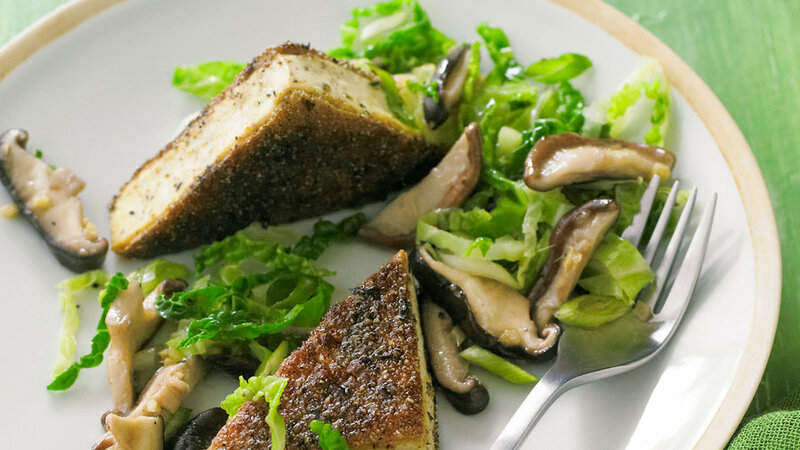 The tea leaf–crusted tofu deepens those flavors. 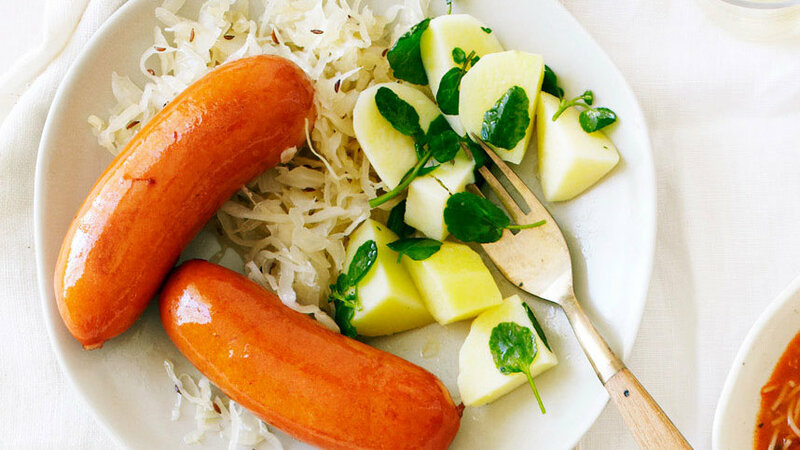 This recipe works with nearly any sausages except super-spicy ones, which would be overpowering with the tangy sauerkraut. You can easily double the amounts here. This may look like your grandma's coleslaw, but it sure doesn't taste like it. 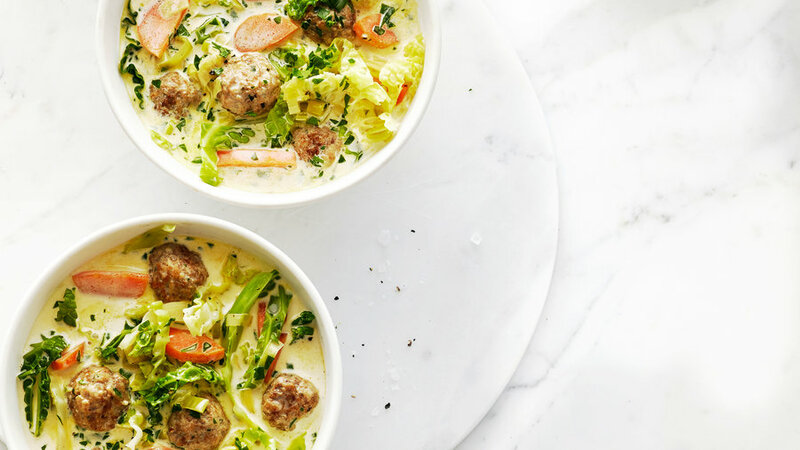 Here's a hearty dish for a chilly night. 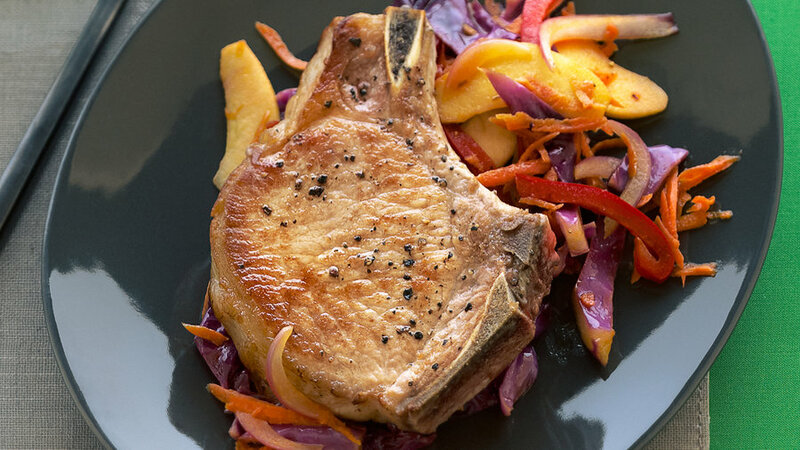 Pork, cabbage, bacon, and caraway ― a classic German combination ― pair well with crisp, dry Riesling. 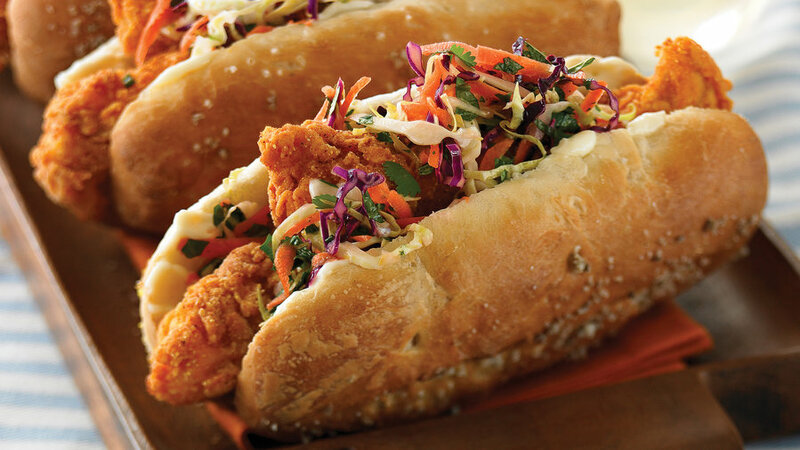 Rich fried chicken needs something crunchy and cooling for counterbalance, and this zesty slaw fits the bill. 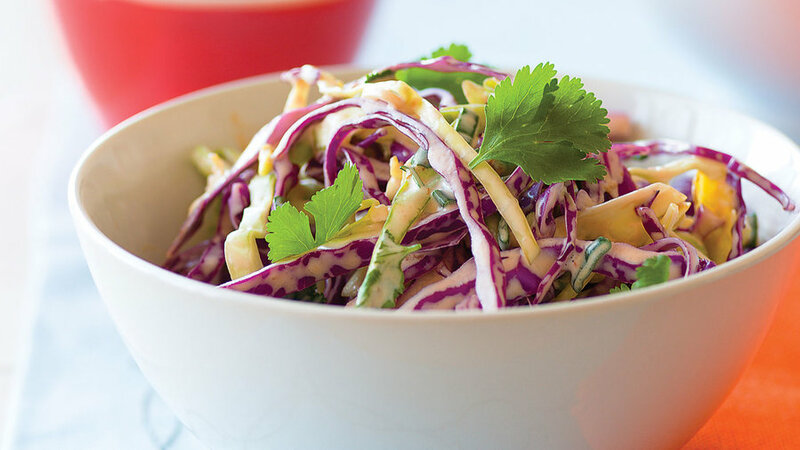 Fresh chiles give this slaw a clean flavor and make it a nice, light element in a hearty meal. Wilting the cabbage briefly brings out its color and flavor, and softens it. This recipe is based on one in Deborah Madison’s book Vegetable Literacy (Ten Speed Press, 2013). She likes to add small mint leaves right before serving—they’re aromatic and cheerful. Think mac ’n’ cheese—but with vegetables instead of noodles. 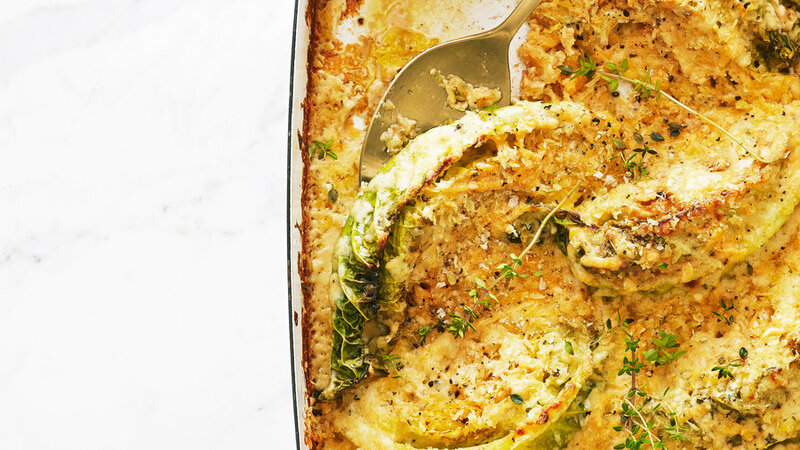 This gratin is a warming winter side dish, though it’s so good you might be tempted to call it dinner. 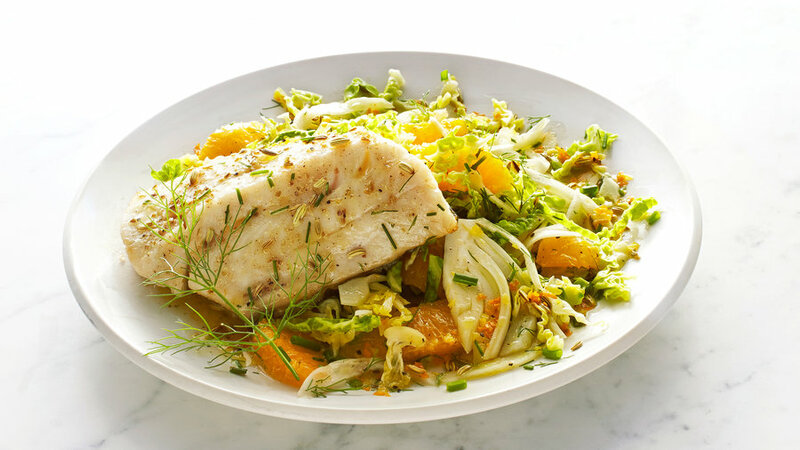 Savoy cabbage is mild and tender even when raw, making it ideal for this light accompaniment to rich sablefish. 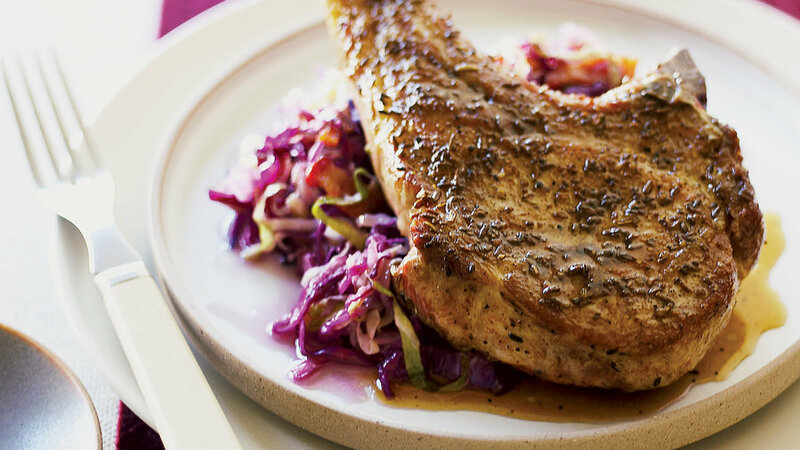 The recipe is also excellent with four boned trout fillets, and the slaw tastes good with chicken or pork too. 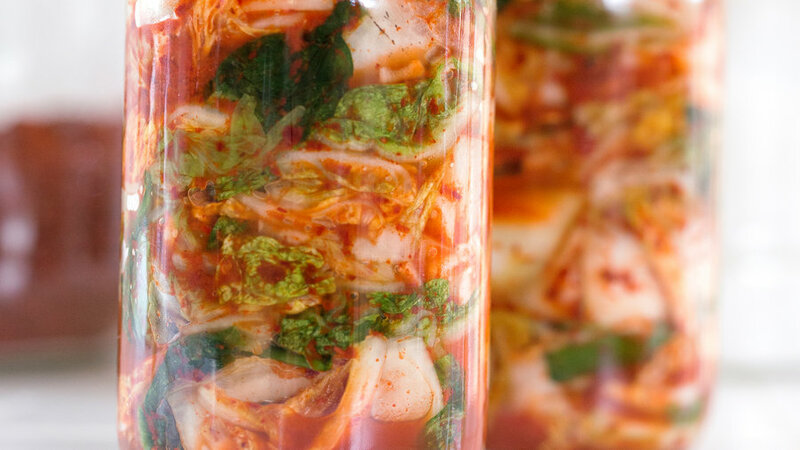 This incendiary kimchi closely resembles the award-winning product the Chois sell at their Portland Farmers Market stand and at grocery stores in the Portland area. “For the best and most authentic flavor, you must use gochugaru in kimchi,” Chong advises. 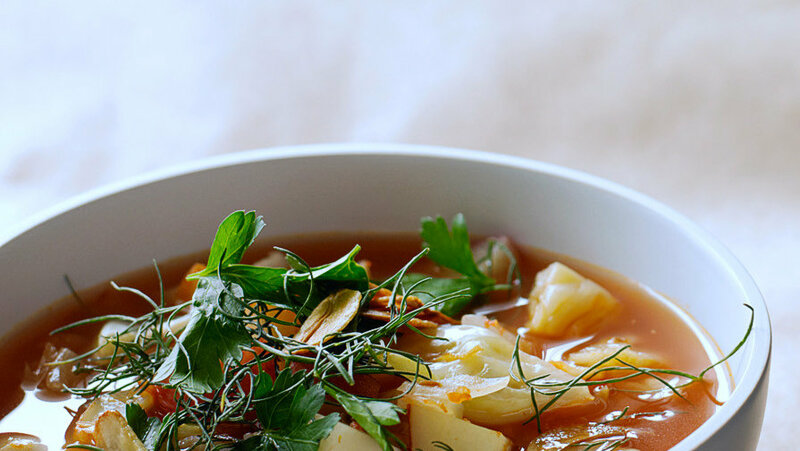 However, you can make a delicious kimchi with a combination of ground mild New Mexico chiles and hotter arbol or Thai chiles.